Do your ears perk up when you hear the telltale pop of a prosecco bottle? Do you think every drink is just a little bit nicer with bubbles? Prosecco is no longer just a sparkling wine, it’s a cultural phenomenon, a party in a glass. book are light, fizzy, and fun. 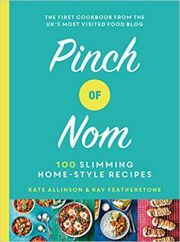 60 delicious recipes are illustrated with bright and beautiful original artwork in a book that makes a lovely gift for your friends―or yourself!